When a country like France has such a famous cycling heritage and, there are so many great cycling regions and routes to potentially explore, it is possibly easy to overlook the wonderful opportunities on our metaphorical doorstep. Just a short ferry ride over the English Channel there is some of the most surprising and accessible coastal and rural cycling that France has to offer. This makes it even easier for your journey to your cycling tour to become part of the adventure itself. Our Baie de la Somme Tour includes great beaches and fishing harbours of the Côte d’Opale, quiet gentle valleys of pollarded willow and trees draped with mistletoe, dramatic gothic architecture and, one of the prestigious Grande Site de France. All these elements are drawn together by a delightful cycling circuit which we have returned to again and again. An opportunity to leave the car behind, bring your own bicycle and, let the adventure start from home. So near - so France. 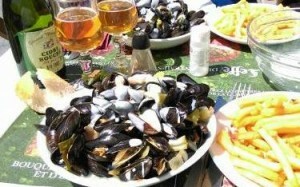 A gentle easy going tour through the ‘Seven Valleys’ and around the Baie de la Somme. Short and moderate length riding days allow ample time to explore the landscape, its flora and fauna, and the small towns and villages along your route. As well as cycling, you could be swimming in the sea, taking a small boat trip or even a ride on a steam train. There are just a few gentle hills along the way but all give access to some surprising hidden places in the landscape. 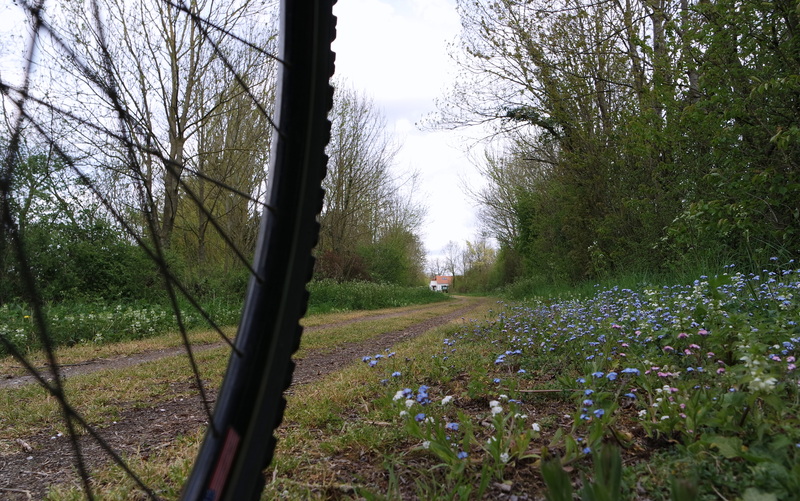 If you travel as a cyclist on the Dover to Calais ferry, we can advise on the train link between Calais and Étaples and then, an easy cycle ride to Montreuil-sur-Mer where you book into your first night’s accommodation. Alternatively, you could arrive by car with your bike and, we can advise on free parking for the duration of your cycle tour. On your first cycling day, head to the Tourist Information Office for any additional local material and, begin your tour from there. Squeeze through the ancient town wall and roll out into the very gently undulating landscape. Quiet lanes and tracks will steer you towards the coast and to Le Touquet-Paris-Plage, a chic seaside resort established as much for English in-comers as it was for the Parisian escapees. Arrive with plenty of time to explore the town and play on the beach. 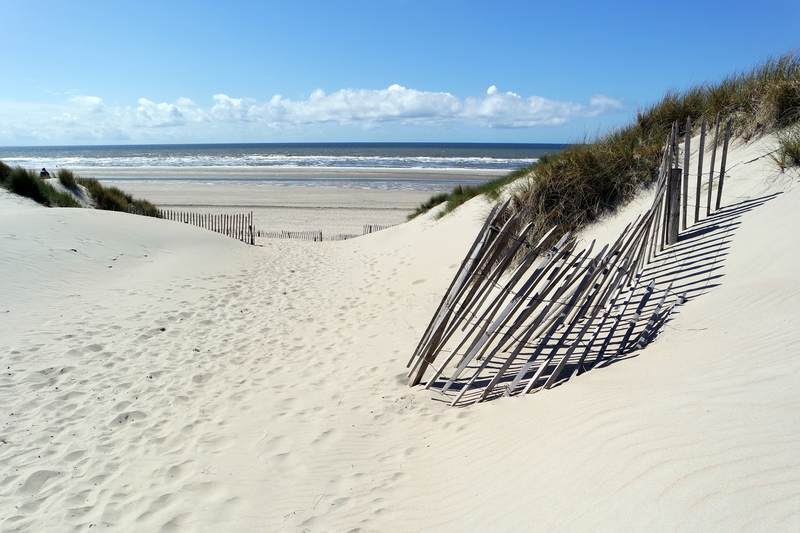 From the stretching sands of Le Touquet, dedicated cycle tracks will carry you passed dunes and into the town’s forest edge as you leave the valley of the Canche and cross into the Authie. Being close to the rivers’ ends means a gentle landscape crossing as you begin a snaking route which mixes the rural tranquillity of the countryside tucked just behind the coast with its peaceful sleepy villages. 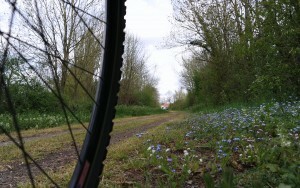 Today you will be cycling into the mouth of the Somme. 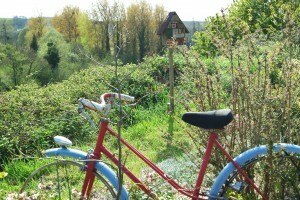 The ride takes you behind dunes, through forest and saltwater meadows on great cycling routes. Along the way you will pass the Parc du Marquenterre, a renowned national nature reserve and a great location for cycling break. The route skirts the heart of the bay from Le Crotoy to Saint-Valéry, both charming fishing villages and great holiday destinations in their own right. Get your timing right and, whether as a treat or for a little rest, you may even be able to hop onto the steam train around the bay. Saint-Valéry is a jewel of the Somme, authentic fishing harbour with a plethora of small independent shops, cafés and restaurants. A great easy cycling day heads inland from here to Abbeville, once the capital of feudal Ponthieu, it is dominated by the gothic splendour of the Collegiate Church of Saint Wulfran. 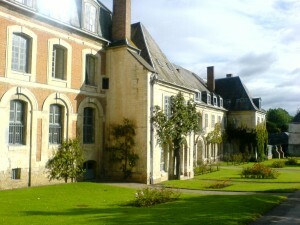 After a short route through the heart of the town, you will be taken beyond Abbeville along a secluded Voie Verte towards Saint Riquier where further gothic architecture awaits. The beautiful Abbaye de Saint Riquier towers above the quiet town and every July plays host to France’s largest classical music festival. 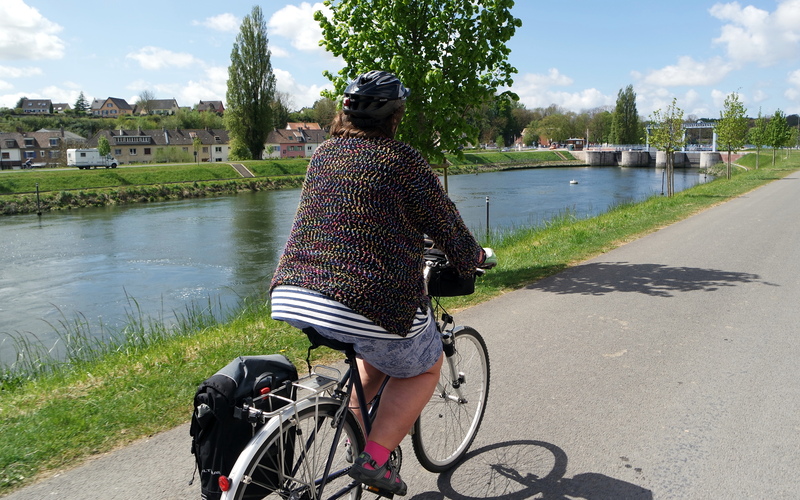 Though the longest ride of the tour, your easy cycling journey continues through an ever quieter landscape to Auxi-le-Chateau where you meet the River Authie once more. From here you will be roughly following the course of the Authie as it slowly flows to the sea. Linking beautiful countryside and sleepy hamlets along the valley will bring you to Argoules. Home to the majestic Abbaye de Valloires and its picturesque gardens, Argoules is a very tranquil and serene spot from which to depart on the final cycling day of your tour. The ride today includes a little more climbing that on others, as you leave the valley of the Authie and cross back into the valley of the Canche. The climbs aren't too long nor too steep but provide some excellent views out over the ‘Seven Valleys’. The River Canche then becomes your guide to the end of the tour as you pass by the walls of Chartreuse en route to your Montreuil return. 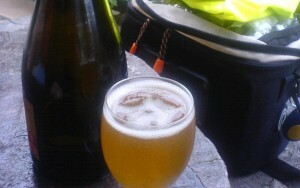 After your final night, leave Montreuil on your onward journey or homeward return. If you arrived as a cyclist on the ferry, you can retrace your ride to Étaples and return to Calais by train. From your arrival before the cycling starts, to the day of your departure, breakfast is included at each of your accommodation venues on the tour. That means that even if you take it in a leisurely fashion, you will have enough fuel onboard to start each ride or, head out on one of the optional exploring days of the tour. If you are on the Fully Guided Tour, lunches are included on each of the cycling days, either gathered up near the beginning of the ride or planned at a local hostelry (and, there will be one day when you will just come upon a picnic laid out for you around a corner on the journey). On this tour, we leave the evening meal venues with you; on nearly every evening there is plenty of restaurant choice in the small towns where you will be staying but, for one evening, we highly recommend a quick ride to a riverside creperie just a stone’s throw away. For groups on our Fully Guided Tour most of the accommodation will be in small and specially selected hotels; welcoming staff, lovely comfortable rooms and the promise of a great night’s sleep. Chambres d'hôtes are often included in the mix on this tour, particularly for couples and smaller groups on the Self-guided option. The majestic Abbaye de Valloires successfully manages to maintain its tradition as a sanctuary for those seeking shelter and rest and, may just be providing the same for you. Maintaining both your energy and hydration levels while cycling is very important. On each day of this tour, it is easy to keep yourself supplied with water and soft drinks. We will provide all the information you need to track down supplies and, will make sure that on the one ride where they are a little more sparse, that we set you off with plenty of water onboard. A selection of liquid treasure unique to the area can be tracked down on the last day of the tour in La Maison de la Perlé in Loison-sur-Créquoise. Delobel family recipes help to produce fine fruit wines including their special Perlé de Groseilles and, an Eau de Vie de Cidre which could easily take your breath away. We normally recommend that customers undertake this tour at Easter or in June, July, August or September but you could choose almost any time during our cycling season - just contact us to check on availability. 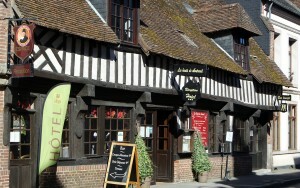 • Possibly the most interesting option for joining this tour is to start your adventure even closer to home; if you can travel to Dover as either a cyclist then, you can take advantage of a cheaper ferry crossing and make the link to Montreuil by train. 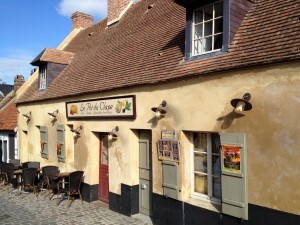 • A tour starting just over the Channel means that, if you are planning to join the tour by car, there are ample ferry crossings between Dover and Calais (and Dunkirk or Dieppe are not too far away either). 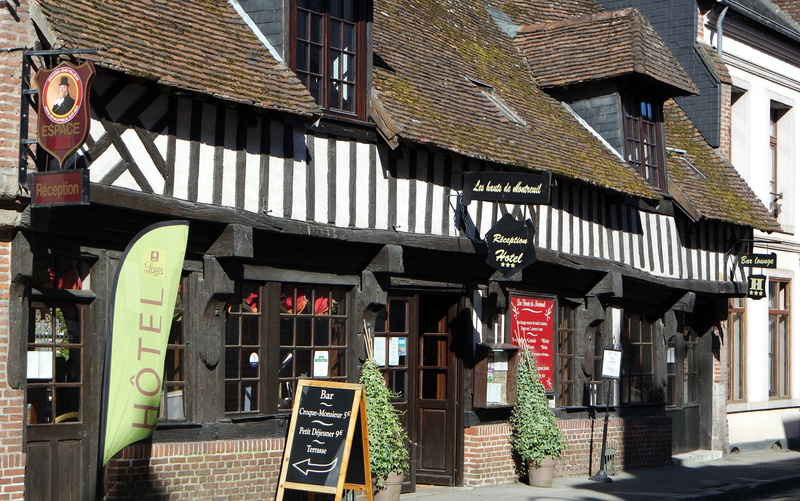 Then it is just a short journey to the start of the tour in Montreuil-sur-Mer, where we can advise on a location to leave you vehicle for the duration. • If travel over the water just isn’t your thing then, there is a short flight option from Kent to Le Touquet with Lydd Air -http://www.lyddair.com/ - we can help advise on the travel connection options from Le Touquet to Montreuil-sur-Mer. • We think Baie de la Somme is ideal for families, though you will be cycling on each of the tour days, none are overly long or difficult and, a significant proportion of this tour is made up of dedicated cycle routes and quiet country lanes.